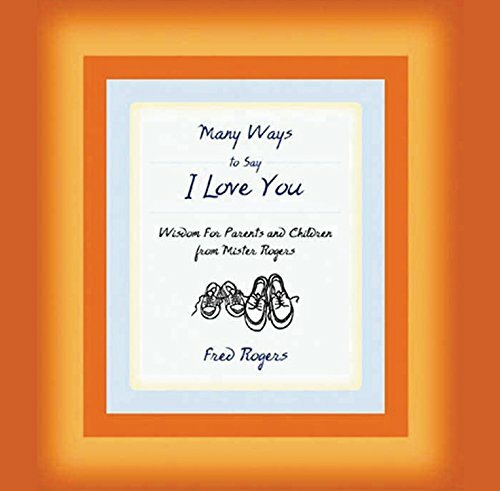 From the beloved late host of Mister Rogers' Neighborhood comes a special collection of inspirational and enduring wisdom, speeches, observations, personal anecdotes, and commentary for children and their parents. Simultaneous. <strong>Fred Rogers</strong> was the host of <em>Mister Rogers' Neighborhood</em> for over 30 years. He earned a degree in music composition and was a floor manager at NBC on their earliest shows. He studied at the University of Pittsburgh Graduate School of Child Development. He graduated from the Seminary and was ordained a Presbyterian minister in 1963, with the specific charge to continue his work with children and families through the mass media. Fred Rogers received every major award in television for which he was eligible, including two Emmys, and is a member of the Television Hall of Fame. He received the Presidential Medal of Freedom in 2002. He is survived by his wife, two sons, and two grandsons.